From the very first moment you contact George Scott Funeral Services you will be receiving our caring support, guidance and advice from our funeral directors. Initially, we will ask a few simple questions about the proposed funeral arrangements. 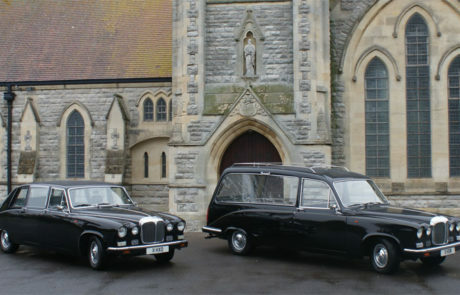 We will also ascertain if a burial or cremation service is required. Then we will arrange a suitable time to meet you. This can be either at your home or at one of our funeral homes to make the necessary arrangements. If you are calling from a distance, the funeral arrangements can be made over the telephone if that is easier for you. 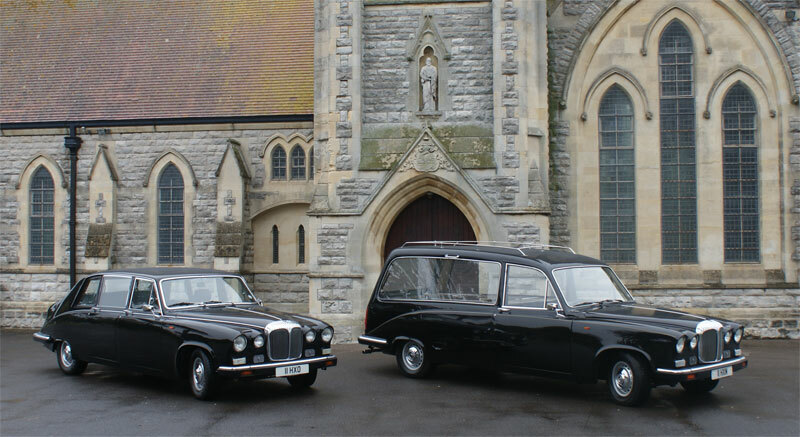 Call us on tel: 01202395827 and one of our experienced funeral directors will guide you through the arrangements. The arrangements are usually made by either the nearest relative or the executor to the deceased will. The person who makes the arrangements must be able to give instructions and make decisions regarding the funeral. This person will also be responsible for arranging payment of the funeral. We are experienced in arranging and conducting funerals, not only locally but elsewhere in the UK. We can even arrange repatriation overseas. We will take care of practical arrangements, advising you of the options and choices for the funeral. We will see that arrangements are made in accordance with your wishes and those of the person who has died. We will assist you in the completion of all documentation and make all necessary funeral arrangements. You will receive confirmation of all the funeral arrangements together with a detailed estimate of the costs. The choice between burial and cremation is a very personal one and may be influenced by many factors, such as family tradition, religion, or the wishes of the person who has died which will need to be considered when making funeral arrangements. Locally, the most common form of burial takes place in one of the cemeteries in the borough where the deceased lived. You normally have the choice between using a new grave or an existing family grave. Special funeral arrangements may have to be made if the burial is to take place in another borough or, for example, in a country churchyard where generations of the family may have been laid to rest. We will advise on the restrictions and procedures. Our advice when choosing a burial in a new grave is to book an appointment to visit the cemetery you are considering and select the grave in the area of your choice. We would be happy to arrange this for you and will advise you as to the cemetery which best suits your needs. With a new grave you will also need to state how many future interments will be required in the grave. When choosing the grave at the cemetery, check with the attendant for what type of memorial you would be allowed to place on the chosen plot. Cremations can take place at any Crematorium. We have two locally – one in Bournemouth, with two chapels – and one in Poole, with one chapel. Both provide excellent facilities. you can keep them at home or we can take care of the ashes for up to one year at our Funeral Home. you can scatter them in a place that is special or meaningful to you. they can be buried in a new grave, or an existing family grave. we can supply elegant garden sundials, pedestal planters and birdbaths. There are many unique and memorable ways to continue to remember loved ones and we can guide you through these when making the funeral arrangements. When making the funeral arrangements we will ask about the venue. Most cemeteries and all crematoria provide a chapel for funeral services. On occasions when the deceased had been a member of a local church or other religious/secular community, it may be fitting to have the service in that community’s place of worship before the committal. Where the deceased had been a well-known member of the community and there is likely to be a large congregation it may be advisable to consider holding the service at a venue other than the cemetery or crematorium (there’s a maximum capacity of about 90 both in the large chapel at Bournemouth Crematorium and at Poole Crematorium) to accommodate the larger congregation and to allow more time to provide a fitting and unhurried service. Please bear in mind that the maximum time allowed for services both at Bournemouth and Poole Crematoria is 20 minutes (although this can be extended at additional cost, if the times are available). Who will officiate at the service? We have experience in arranging funerals across all faiths, denominations and cultures as well as organising humanist/non – religious services. It may be that the deceased was a church member or that a minister or priest had visited the deceased during their illness or someone you or the deceased had met. If you have someone in mind let us know and we will liaise with them regarding a suitable date and time. If preferred we can arrange for one of our very experienced local ministers to take the service, either religious or non-religious. They will arrange a time to visit and talk through exactly the kind of service you require, including any readings or poems you may wish to have included. This will also be an opportunity to discuss a tribute (eulogy, address) to the deceased. A carefully considered choice of music can make the service much more personal in reflecting the life of the person who has died. 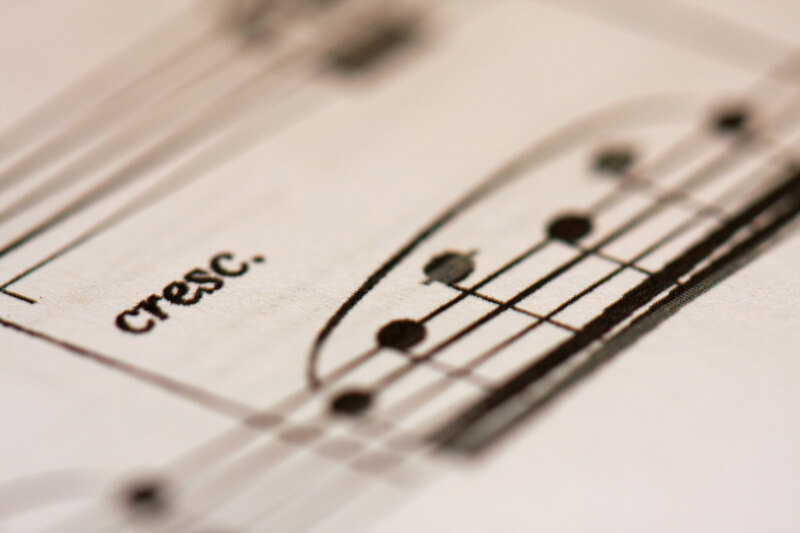 These days, families request many different types of music – anything from traditional organ music to music supplied on CD by you – everything from Puccini to Presley! During the service itself there is usually time for up to two pieces of music. You can also choose music for entering and leaving the chapel. Often families request that there be family flowers only and that donations in lieu of floral tributes can be used to benefit others. These donations can be made online here. Many people know a good local florist who can arrange the flowers. Alternatively, we would be very happy to recommend one to you or even order the flowers on your behalf from the brochure displayed at our funeral homes. Because there is limited space for flowers on the coffin many families order one double-ended floral spray and place a flower card from each member of the immediate family on the tribute. Your florist would usually deliver the tributes to our funeral home on the morning of the funeral. The Obituary Notice is an opportunity to publicly announce the death, the funeral details and state the request for flowers or donations. An Obituary Notice can be placed in the Bournemouth Daily Echo and/or any other relevant newspaper of your choice. We will be happy to assist in creating and placing the Obituary Notices for you. We can provide a gown which matches the interior of the coffin chosen. Or maybe you would prefer that the deceased be dressed in their own clothing. If you wish to supply clothing we would need this to be delivered to our Funeral Home as soon as possible. The decision to visit the deceased is a very personal one. Private remembrance rooms are available at our Funeral Homes in Boscombe and Kinson. You are most welcome to visit by prior appointment Monday – Friday 9.00am – 4.30pm. 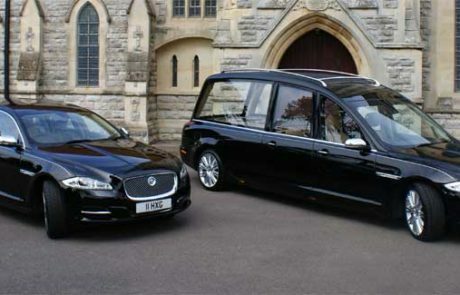 We take great pride in our fleet of MODERN Jaguar XJ and CLASSIC Daimler DS420 Chauffeur driven hearses and limousines which come finished in gleaming black. 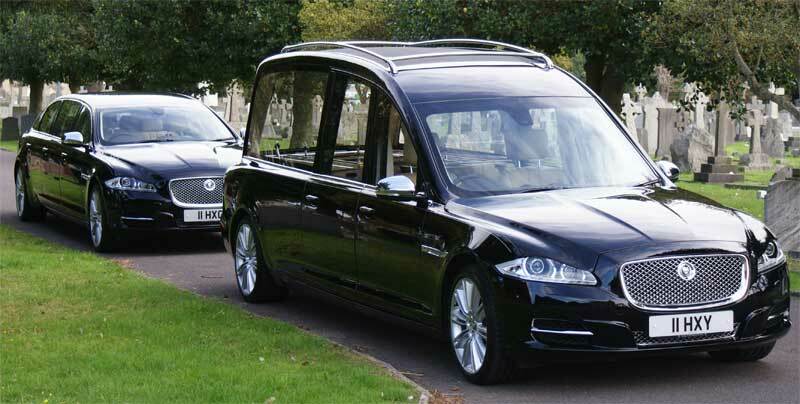 where you would like the limousines to return to after the funeral such as straight home or the hotel reception. We will always supply sufficient bearers to carry the coffin. Four bearers are included in our fees but where necessary for reasons of dignity and health and safety, we will automatically supply six bearers at an additional cost. If family members would like to carry the coffin please advise us prior to the funeral. We supply a wide range of traditional coffins and caskets from the most simple to the most elaborate. We can also supply more environment-friendly modern coffins made from wicker, bamboo, or cardboard. A painted coffin, with pictures reflecting the life of the deceased can also be arranged. The venue: home, hotel, church hall, club or pub? What type of refreshments are to be served? We will be happy to advise you on local venues and caterers that can meet your requirements. Most churches, crematoria and cemeteries supply hymn books, although if desired Orders of Service can be printed with a photograph of the deceased or alternatively an image, such as a cross or dove. 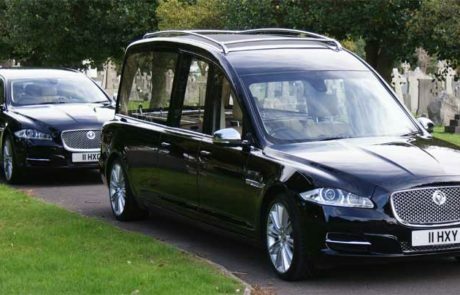 You will need to arrange to meet with the minister to finalise the service and inform us of your requirements in good time before the funeral. If requested we can provide name listing cards that can be placed on the pews for mourners to complete and hand back to us. This would provide you with a list of people who attended the service. If requested we can arrange for the funeral service to be recorded or filmed. This is at the discretion of the minister or Church the service is taking place at, and will incur an additional fee. If requested we can provide a booklet of the flower cards. We can arrange for a photographic record of the flowers or for a photographer to take photo’s throughout the funeral. White doves can be arranged to be released from a wicker basket at the crematorium or graveside. Depending on availability we can arrange a soloist singer/poetry reader to perform. Depending on availability we can arrange for musicians to play a variety of instruments for example, flute, saxophone, clarinet. Depending on availability we can arrange for a bagpiper or bugler to attend. Helium balloons in a colour of your choice can be handed to family and friends following the service and be released. The balloons can be printed with a farewell message or if preferred left blank. A single flower of your choice can be handed to each member of the family to place on the coffin as you leave the crematorium or at the graveside. You may wish to supply a framed photograph with a stand to be placed on the coffin for the duration of the service. Equally, a personal possession of the deceased, such as a military cap, or a musical instrument they played, or maybe a flag, can be placed on the coffin. Please let us know in advance. If requested we can take a lock of hair for you to cherish as a keepsake. You may wish to write a personal message or supply photos and flowers to be placed in the coffin with your loved one. It is very important to us that we provide the very best service possible for our clients, so following the funeral please feel free to let us know your views, good or bad; we really do value your opinion. An acknowledgement notice can be placed in the Bournemouth Daily Echo (or other paper/s of your choice) to thank the mourners for sending flowers, donations and sympathy cards and it is also an opportunity to thank the people who helped you most before and after the funeral. We will be happy to assist in creating and placing the acknowledgement notice for you. We can supply beautiful wooden benches for your garden with an engraved message added to it. If required, we can place a temporary six month grave marker on the grave for use until the memorial is fixed. We can provide memorials for our local cemeteries and churchyards and we would be happy to advise you on local restrictions and regulations. You can choose the memorial from our brochure or we would be happy to prepare an estimate for one that you may have seen at the cemetery. We suggest allowing six months to elapse from the date of the funeral until the memorial is placed. Please be aware, that the memorial can take around 3 months from the date of order to completion. The local Probate office details are under useful addresses in the booklet. You may wish to instruct a solicitor to undertake this on your behalf. For help and guidance regarding probate and letters of administration please ask us for a department for work and pensions booklet or you can click here. Telephone the doctor – When someone dies at home or in a Nursing Home the first contact should be with the deceased’s doctor. Then, either the doctor/locum doctor/paramedic will visit to certify the death. The deceased’s usual doctor, if satisfied with the cause of death, will issue the Medical Cause of Death Certificate. This is usually left either at the doctor’s surgery or occasionally at our Funeral Home for collection by the family. Contact us – immediately after the death has been certified, you should contact us. We provide a 24-hour on-call service and will arrange to visit and transport the deceased into our care. The person in charge of the Ward will inform the Patients’ Affairs Office at the hospital that the death has occurred. The staff at this office will then liaise with the doctors who cared for the deceased during the stay in hospital. If satisfied with the cause of death, they will then issue the Medical Cause of Death Certificate which will be left – along with the deceased’s belongings – at the Patients’ Affairs Office for collection by the family. The deceased will be cared for by the hospital until the necessary paperwork is complete. Contact us – as soon as possible between the hours of 7.30am – 10.00pm. We will liaise with the hospital and arrange to transport the deceased into our care as soon as the necessary paperwork is complete. When someone dies unexpectedly it is normal for the Coroner to be involved. There are many reasons why this can happen. For example, if the deceased hadn’t been visited by a doctor within the previous two weeks if they had been suffering from an Industrial Disease if they had been admitted to hospital less than 24 hours before they died, during an operation or shortly afterwards. The Coroner could be involved even if it is a simple matter such as the deceased’s having broken a bone in the months prior to the death. The deceased is usually cared for by the Coroner until the paperwork is complete. Registration procedures vary from place to place. The main elements involved in registering a death are normally as follows: the registration is normally completed by a relative of the deceased. If no relative is available then that duty may be performed by any person present at the death, the occupier of the premises where the death took place, or the person who is accepting responsibility for arranging the funeral, such as an executor. In most cases the death should be registered within five days of the death, or in the event that the coroner’s office is involved, as soon as possible after the cause of death is issued. This process can be completed in one of two ways. Booking an appointment at the Register Office in the district that the death occurred. The medical cause of death certificate (issued by the usual doctor or hospital doctor.) This form is not issued when the coroner has ordered a post-mortem. In such cases he will normally send a certificate directly to the registrars concerned after the cause of death has been ascertained. Certified copies of the registrar’s entry (original death certificates). A statutory fee is payable for these. Contact Bank and or building society to close accounts. Inform person’s GP, cancel hospital appointments. Contact any companies holding policies in respect of life, household, car, building insurance and investments. Inform the local authority regarding council tax, electoral register. Inform Meals on Wheels, home help, day centre. Contact electricity, gas, water, telephone and mobile telephone companies as appropriate. Inform landlord if deceased’s property was rented. Return equipment to Social Services etc. Inform sports and social clubs. Speak to the neighbours – give them your telephone number. Turn off water, gas and electricity if the property is being left empty. Arrange for telephone company to divert telephone to your own number. Later on – you may wish to dispose of the deceased’s clothes or furniture – The Salvation Army or Help the Aged may be able to help.